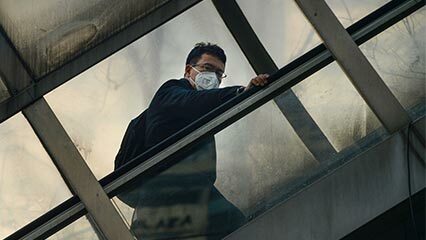 This article is part of a series looking back at some of the most noteworthy China stories of 2016. Even as the Chinese movie market flourishes, documentaries are always a hard sell. But 2016 saw a glimmer of hope for the underappreciated genre, with Chinese documentaries securing higher ticket sales and some serious accolades on the world stage. The future remains uncertain, however, with new film laws coming into effect next March that could spell tighter censorship. In 2015, the box-office takings of all documentaries shown in Chinese cinemas totaled 31.5 million yuan. This year, with two documentaries still screening, the total has already reached nearly 73 million yuan, according to a yearly report issued by the China Documentary Research Center, an institute within the Communication University of China. 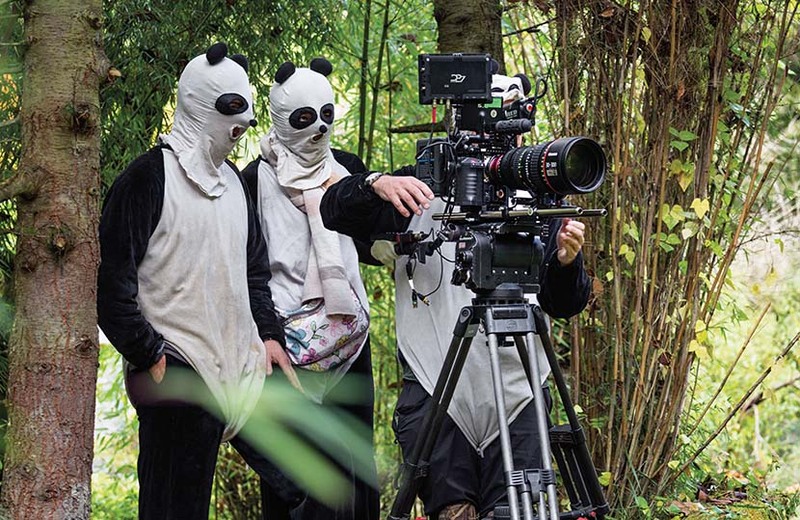 Staff from the crew of ‘Born in China,’ dressed in panda costumes, film a baby panda in Sichuan province. The film’s success was a notable exception in an otherwise-hostile market for documentary film. For the most part, audiences’ appetite for documentary is too small to attract investors or persuade cinema chains to allocate very many screenings. Out of 463 movies that were scheduled for public release in 2016, only five were documentaries, according to the China Documentary Research Center’s definition. On Dec. 16, two documentaries premiered on the same day — a rare occurrence, especially around the end of the year, when cinema rosters are typically crammed with big-budget blockbusters. One of the two, “This Is Life,” focuses on Chinese mothers in maternity wards. The film is a commercial-cinema debut for award-winning director Chen Weijun, whose previous films were not approved for public screening. Distributors held 100 advance screenings before the film’s debut in cinema chains, allowing audiences to choose whether they wanted to pay after viewing. But despite its novel approach to promotion and a score of 8.5 on China’s most popular review website, Douban, “This Is Life” has only taken in 927,000 yuan at the box office as of Tuesday according to box office monitor and online ticketing platform Maoyan. A still from ‘This Is Life’ shows a crying newborn baby. The other film, “Masters of the Forbidden City,” is a feature-length adaptation of a popular documentary miniseries about artisans who restore relics in Beijing’s Forbidden City, originally produced and aired by state broadcaster CCTV. Even with a ready fan base from the televised version, the documentary has so far taken in 5.75 million yuan — no match at all for box-office behemoths like Sino-U.S. collaboration “The Great Wall,” which has reaped over 855 million yuan. The climate is even more dire for independent directors seeking finance and distribution. “The Verse of Us,” a 2015 documentary on migrant-worker poets, relied on crowdfunding to enter cinemas, despite receiving censorship approval for public screening along with a number of domestic and international accolades. Though crowdfunding has proven successful for several films, scholar Sun points out that many documentaries investigate unpopular concerns. “This is not a model everyone can copy,” Sun commented. 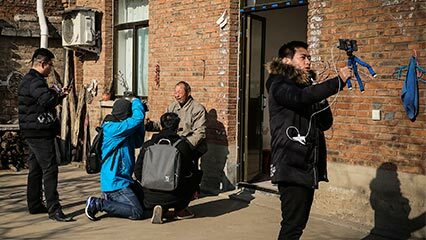 Yet despite a limited domestic market, little interest from investors, and tight media control from the state, 2016 has been a bumper year for Chinese documentary films in terms of international recognition. Two Chinese films won major awards at the International Documentary Film Festival Amsterdam (IDFA) in November. 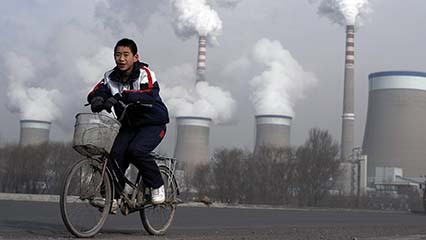 The Special Jury Award for Feature-Length Documentary went to filmmaker Fan Jian’s sensitive exploration of female poet and farmer Yu Xiuhua’s life and desires in “Still Tomorrow,” while Wang Jiuliang’s examination of social inequality and environmental destruction in “Plastic China” won the Special Jury Award for First Appearance. Fan told Sixth Tone in a previous interview that the reputation of Chinese documentary cinema has grown steadily over the years. “The first time I went [to IDFA], 10 years ago, we were really just observers,” he said. But even for celebrated documentaries, the lack of distribution platforms is still a major concern. Few independent documentaries are approved for public screening by the State Administration of Press, Publication, Radio, Film, and Television (SAPPRFT). 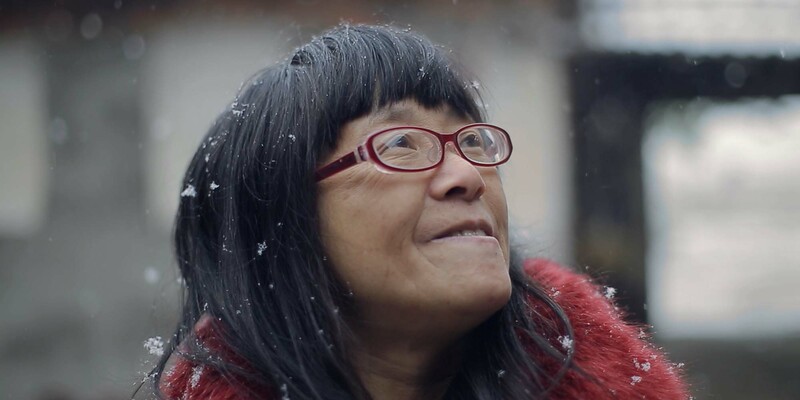 In December, “Hooligan Sparrow,” a documentary about Chinese feminist activist Ye Haiyan, was short-listed for the best feature-length documentary category at the 2017 Academy Awards, but the film has not been shown in Chinese cinemas and cannot be viewed on Chinese streaming websites. A new film law coming into effect next March could bring even more challenges for documentary filmmakers. The law grants more power to low-level censors, and experts believe it could make securing investment more difficult for independent creators.